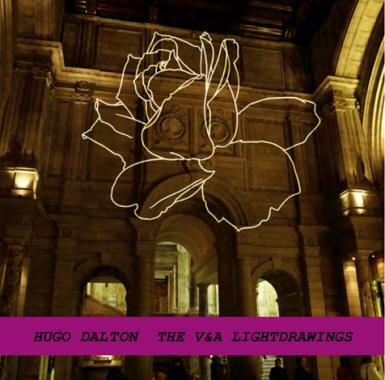 Artist Hugo Dalton exhibits a selection of light drawings within the world famous collection of the Victoria and Albert museum. The works will be projected across the epic Great Court and Raphael Room at large scale using theatrical lighting that the artist first used to create his stage set at Sadlers Wells for Christopher Wheeldon in 2010. Hugo Dalton graduated with First Class Honours from Goldsmith’s College. His recent commissions include: for Liberty’s London, Barney’s New York, Derwent London and a set for Christopher Wheeldon’s Morphoses at Sadler’s Wells. His work has many high-profile collectors including Kay Saatchi and the Today Art Museum Beijing.